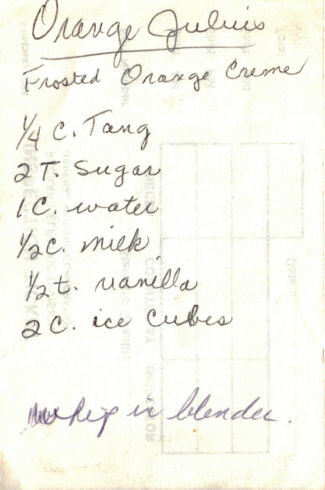 This looks like a copycat recipe for the Orange Julius drink, it was handwritten on a slip of paper and found in a large collection. Recipe is typed below as-is along with a scanned copy. The key to making an Orange Julius (or any Julius) is powdered egg whites. It’s what makes it frothy.